Get in touch to find out about our special introductory offer! Never have to write an invoice again! More than child development tracking! 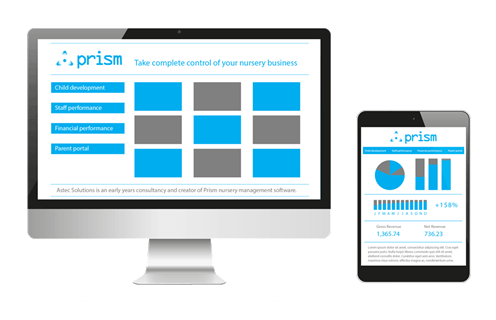 Prism Premium is specifically designed to provide superior value to ambitious nursery owners who want to take complete control of their early years business. This model can be tailored to meet your current and future business requirements. It provides a firm platform for growth and, as such, is favoured by multi-site providers and those with plans to expand. The ‘outright’ licence also benefits providers who want a faster return on investment. Find out more about the differences between subscription and ‘outright’ models in our guide to choosing nursery management software. Get in touch to discuss your configuration requirements and find a model that suits your business. Option 3. NEW childminder solution! Our new childminding solution is available for just £199 per annum (+VAT). You deserve the chance to put your feet up at the end of the day, so let Prism take care of all the unnecessary administrative burden for you. 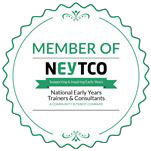 Features include automatic invoicing, child scheduling, EYFS profiling and daily diairies. Contact us to find out more about the features on 020 8655 7888 or send us a message and we’ll call you right back. We have a range of payment options that give you the flexibility to align payments with your business objectives. Speak to one of our consultants to discuss what payment model suits your business. We want to provide a solution that adds the most value to your operation, so please get in touch to discuss your requirements. We are happy to recommend tailored and affordable packages suitable for your business.